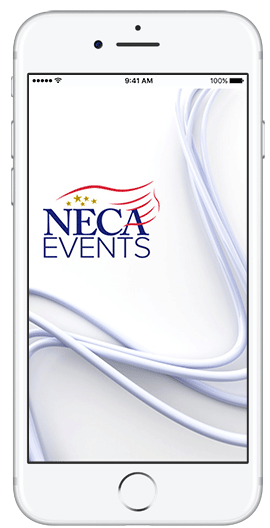 The National Electrical Contractors Association (NECA)’s 2019 Safety Professionals Conference (NSPC) is the electrical construction industry’s premier annual safety event. Opening reception and much more! WHO BENEFITS FROM ATTENDING THE CONFERENCE? Anyone with an interest in sharpening their occupational safety and health knowledge, including managers of safety and health programs or those with similar responsibilities as part of their employment, will greatly benefit from attending the conference. Electrical construction experts from across the country have made attending the NSPC event a priority. “Conference attendees understand the importance of safety in their company operations, for both their workforce and their bottom line. When we come together, we learn, we share how we can make our industry safer, more efficient and more profitable,” said Michael Johnston, NECA Executive Director, Standards and Safety. Previous attendees include: project managers, human resource professional, safety professionals, supervision and all those who have safety oversight within their respective organizations. Full refunds are available prior to April 15, 2019. Refunds less an administrative fee of $100 will be given for cancellations received in writing to katie@necanet.org prior to May 8, 2019. Following this date, no refunds will be given. However, you may send an alternate to the event without additional charge. Full refunds – available 30 days before the first day of the meeting. Refund of registration fees less administrative fees – available from 30 days before the meeting to 7 days before the meeting. Alternates may be substituted at any time prior to the beginning of the event.